You are going to have a good time with kratom once you discover the sweet spot and some great consumption techniques. Learn how to take kratom in this article that improved my experience. This is how to use kratom for a great experience. The acids in orange juice help to extract more alkaloids from the plant. More concentrated alkaloids in your system will amplify the effects. The web is filled with positive reviews on how people come to love mixing orange juice with kratom. This is probably the best way to take kratom powder. Pour in two to three glasses of orange juice in a shaker and add kratom. Shake it for a while and let it sit for at least 15 minutes. The clumps will dissolve in peace and it becomes easier to get it down. See the dose chart at the end of this article to get you started. However, you can throw up if sensitive to the taste. Don’t take the whole dose at once. Divide it up into smaller pieces if you are just starting out. This is one of the most common ways to take kratom. It’s the best technique if you want to eliminate the taste and making a mess in the kitchen. The con is that you might need a lot of capsules to get your desired effects. You also have to get kratom capsules that aren’t garbage. Or just make them yourself by investing in machines. But that’s how you invite hassle. It’s probably better to buy them from a reputable vendor because then you know for sure how many milligrams contains in each capsule. 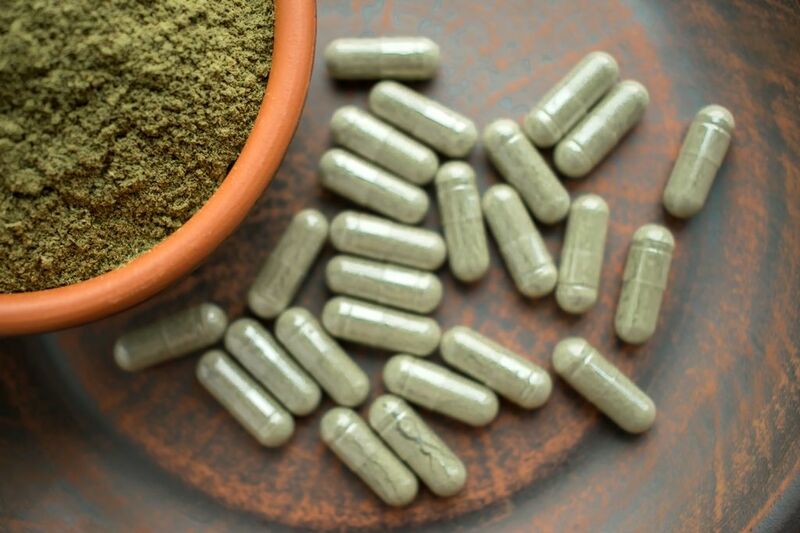 Capsules are the best way to take kratom powder if you don’t like the taste. It’s fun to make kratom tea as a beginner. You might not get it perfect the first time. Give it a couple of trial and errors. Pour in 1/2 cups of water into a saucepan. Squeeze the lemon juices into your water to extract more alkaloids. Pour the water into a simmer and add kratom. Let the water simmer for about 20 minutes and then remove the saucepan. And at last, grab your finest tea mug and enjoy. If you ever made kratom tea, please comment and share your wisdom. People have been making tinctures for years in order to get the desired effects of herbs. You can make your own tincture if you have Ph strips, citric acid, tincture bottles, and other stuff you’ll find in a chemistry lab. It’s messy. However, tinctures are potent. Maybe too strong for some people. You only need 10 drops to feel the effects. Good kratom tinctures are called full spectrum. That’s what I recommend. But be careful because tinctures can mess up your tolerance for weeks. If you own a blender you can make all kinds of beverages using kratom. Mix your favorite fruits with coconut milk and add about 3g kratom powder. Have a banana in your mix if you want more energy. Bananas are also good sources of l-tyrosine. L-tyrosine is an amino acid that helps your brain to release dopamine, the neurotransmitters that gives you motivation and makes you feel good. One of my favorite dishes is to mix white maeng da or green malay with banana and blueberries. White manga and green malay a great morning strains that offer a huge burst of energy. I use coconut milk instead of water and regular milk because it makes my smoothies taste like heaven. Kratom works well with any kind of foods, sauces, yogurt, cream, pastry or anything, except sushi. Make sure you use the right ratio between food and kratom. This is because you want to maintain the taste of your food. The effects are or can be delayed because the alkaloids must be digested first so they can enter the bloodstream. When you take kratom it is very important that you stay hydrated. The plant will dehydrate you just like coffee. Water is key to life and a great kratom experience. Take this as an opportunity to fill your system with water. Your joints and every cell in your body will thank you. When you start using kratom you will notice that ever strain is different. Some strains are similar and work best on an empty stomach. With other strains, you should eat before so you don’t feel nauseous or other unpleasant side effects. Another underrated tip is to take a walk after you consume the plant. Walking improves blood flow so all the alkaloids get transported properly throughout your whole system. You will also feel and experience the effects faster and longer. You can also walk around inside your home or do some basic exercises to get the blood flowing. As you can see, you have a few options. One of the best ways to take kratom is to mix powder extract with juice. This will extract more alkaloids so you get the most out of the plant. The toss and wash technique is effective and quick. If you have a blender at home look up some nice smoothie recipes online and add kratom to the mix. Check out this thread on MyKratomForum and see how other users prefer to take kratom. Now you know what works best. Grab the strain that suits your need and enjoy the plant. Is The Kratom Source a reliable vendor?